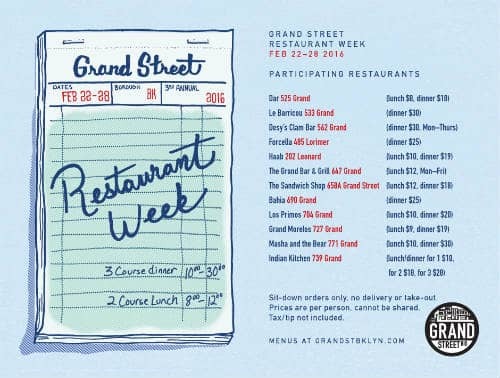 Grand Street Restaurant Week is Back 2/6-2/12! 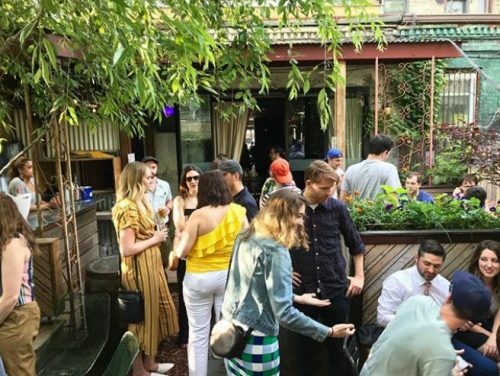 If you’re in need of dinner or lunch plans, here’s some news you can use. 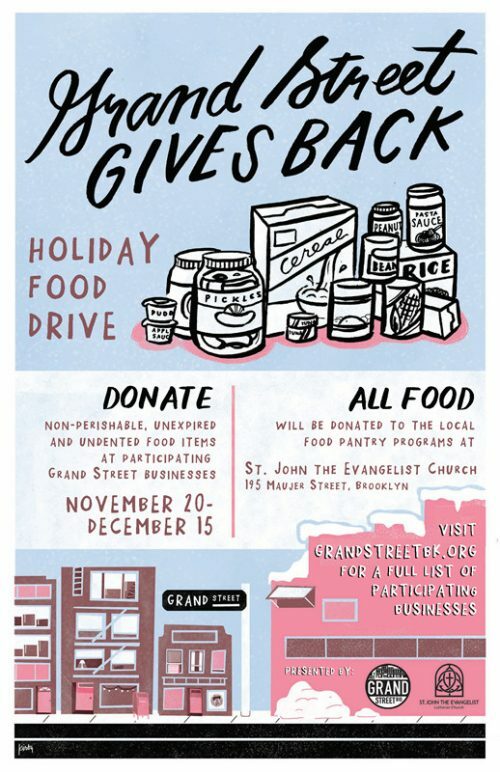 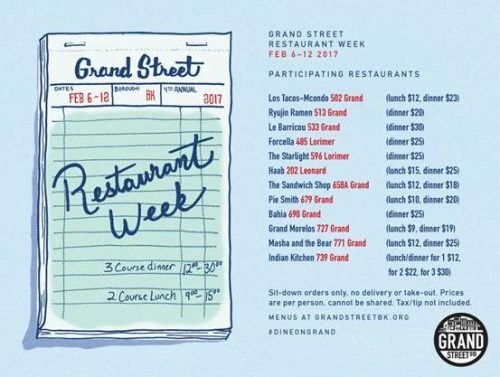 Grand Street Restaurant Week, a project of the Grand Street Business Improvement District, is happening now until Sunday the 12th. 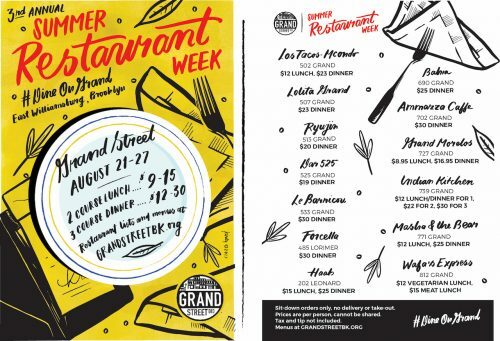 This year, twelve Grand Street restaurants are offering two-course lunch specials for $15 or less, and three-course dinner specials for $30 or less. 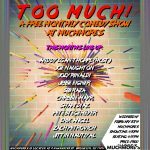 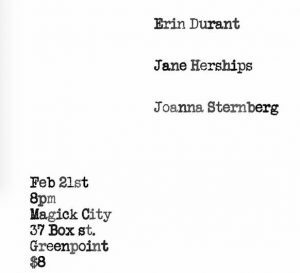 Notable participants include The Sandwich Shop, The Starlight, and Ryujin Ramen (that’ll be really good during the snowstorm). 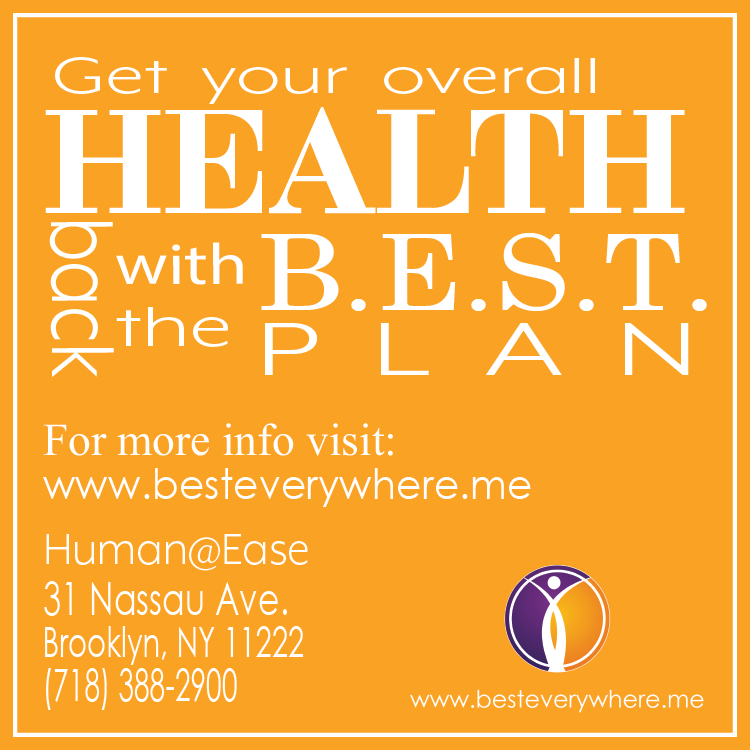 Menus can be found here. 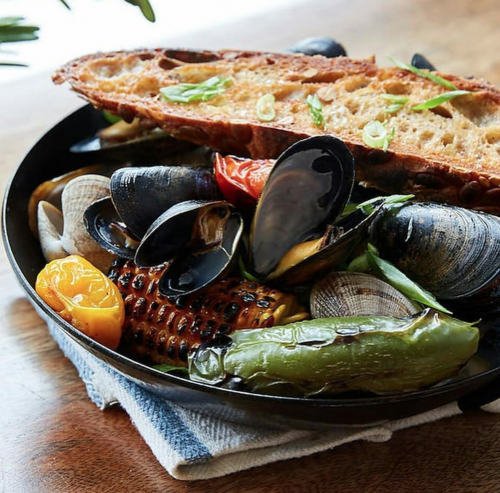 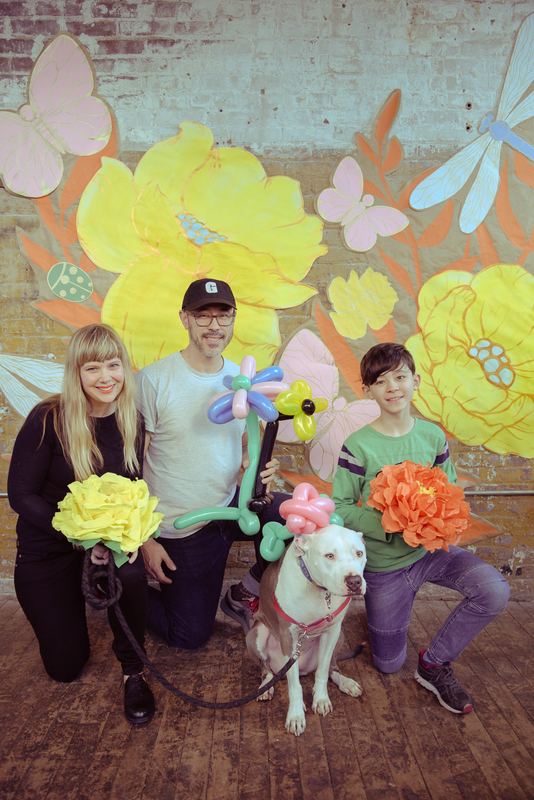 Another one to check out is Pie Smith, a build-your-own pie and panini shop started by a long-time Brooklyn family. 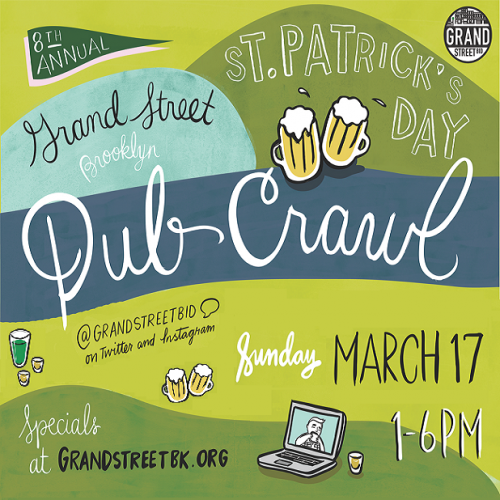 Also, if you Instagram your restaurant week prix-fixe meal with #DineOnGrand and @GrandStreetBID, there’s a chance to win a $25 gift card to your favorite Grand Street spot! 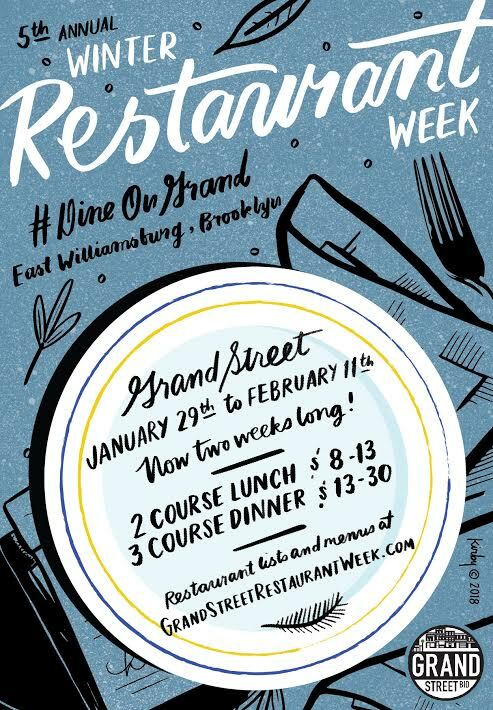 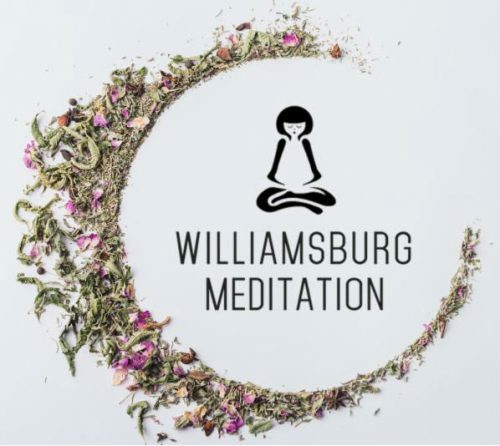 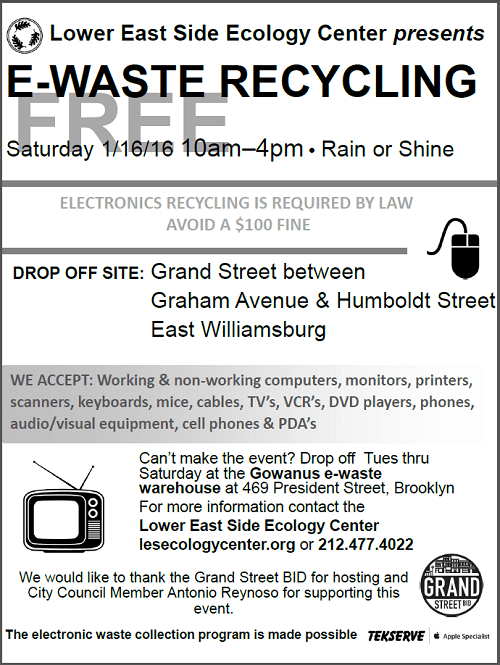 Grand Street Restaurant Week, a project of Grand Street Business Improvement District, will return to Williamsburg next week. 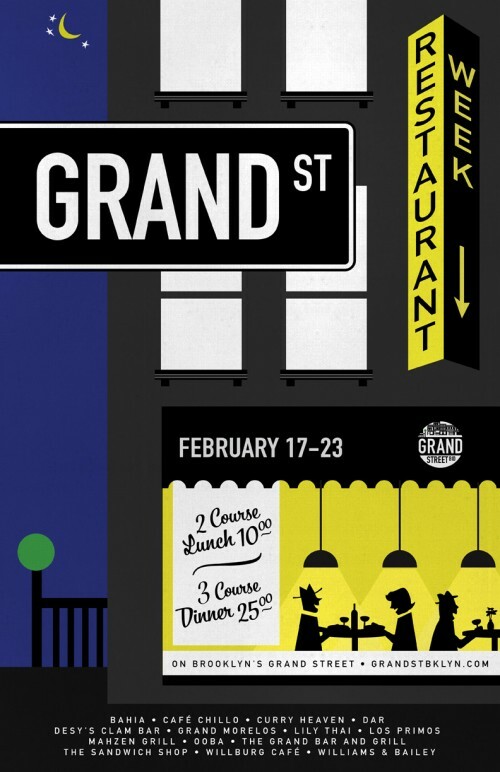 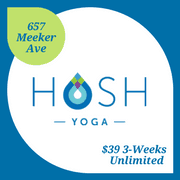 From Monday February 22 through Sunday February 28, twelve restaurants up and down Grand Street will feature lunch specials for $10 or less and dinners for $30 or less.